At Tradesmen, our skilled construction workforce is here to fill the gaps in your core workforce. Whether you need a proven craftsmen for help on a short-term project, or you are looking for additional skilled construction support during your peak-season, our Memphis staffing agency offers a diverse pool of talent, with a wide range of available expertise, disciplines and job skills. 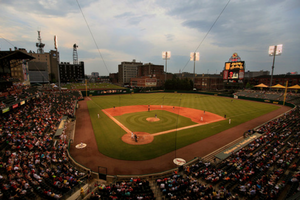 Formally known as Autozone Park in downtown Memphis, Tradesmen craftsmen played a part in helping bring this 15,000 seat minor league stadium to life. 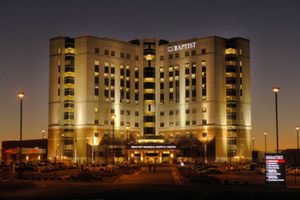 With almost 27,000 discharges, 55,000 emergency department visits and 14,000 surgeries in 2010, Baptist Memorial Hospital in Memphis is one of Tennessee’s highest volume hospitals. 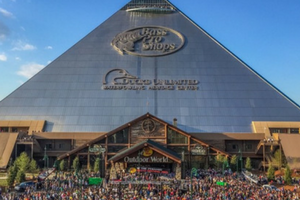 Shaped like an Egyptian wonder, the 32-story Memphis landmark, known as the Pyramid, is home to Bass Pro Shops and features attractions such as a man-made cypress swamp, a bowling alley and an archery range. 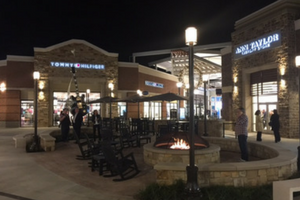 Located just outside of Memphis, Tennessee, the sprawling Tanger Outlets is home over to 75 different brands, providing a robust shopping experience for local area residents. At Tradesmen International, all of our workers undergo an extensive interview and skills evaluation process before they are ever allowed to set foot on a Memphis area jobsite. In addition, they are each offered an OSHA 10-Hour safety training course and are subject to regular client satisfaction evaluations. Because these workers are employed by us, you receive the same level of quality you would expect from your permanent workforce – all without incurring typical labor costs, like unemployment, benefits and payroll expenditures. Contact us today to learn more about your skilled construction staffing options in Memphis, Tennessee. Find skilled craftsmen in Memphis.